Level 9,10,Elite,NCAA Choreography, Level 8 and above Touch-Ups, Clinics, and VEEP! 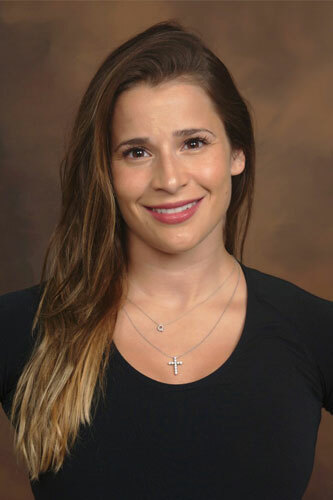 Hey there, I’m Alicia Sacramone and it was an honor to Captain the 2008 Silver Medal U.S. Olympic Team! I have won seven career world medals, including two gold, three silver and two bronze. At the 2007 World Championships, I helped the U.S. women win their second world team gymnastics title in history, and the first held at a World Championships outside the United States. My World Championship teammates and I were named the U.S. Olympic Committee’s Team of the Year for 2007, and most recently we were inducted into the Hall of Fame! From 2005 – 08 I won four consecutive U.S. vault titles and two U.S. gymnastic floor exercise crowns in 2005-06. I was named USA Gymnastics’ Sportswoman of the Year three times (2005-07). In 2005, at the Visa Championships, the 9.9 I scored for my final floor routine was the first time a score of 9.9 or better had been awarded in the women’s division at a U.S. Nationals since 1996. That was amazing! In 2004, I qualified for the World Cup Final as a wild card and won the vault gold medal ahead of the 2004 Olympic gold and bronze medalist. I signed on with Precision Choreography in 2009 – I was looking for a creative way to stay involved with the gymnastics community. Nicole and her team think outside of the box and find ways to make each and every athlete’s routine and experience as special and individualized as possible. I’ve loved every minute of my time with Precision thus far and I look forward to working with the company for a long time!